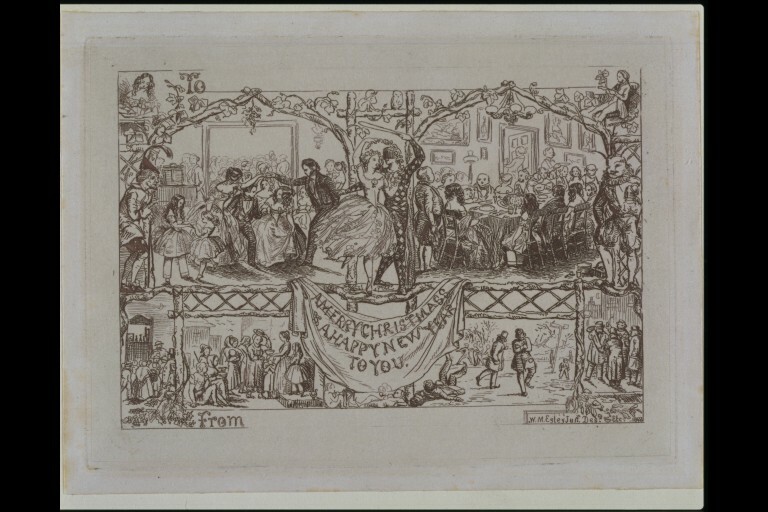 Christmas card depicting a ballroom scene on one side and a Christmas dinner on the other side, separated by a Harlequin and Columbine dancing above a swagged banner reading "MERRY CHRISTMAS AND A HAPPY NEW YEAR TO YOU". Beneath these are scenes of poor people queueing up for soup and some men walking in cold weather. The image is an etching. E.11 and 12-1940 are the preliminary drawing and finished design for a Christmas card. E.13-1940 is the etching made by the artist after this design. 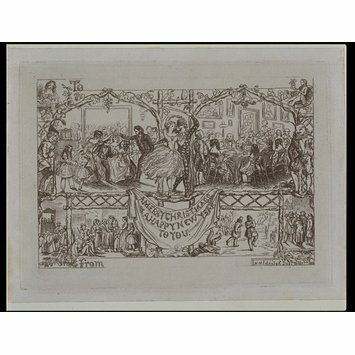 The card was claimed by the artist in his 1935 catalogue to be the second Christmas card produced in England. 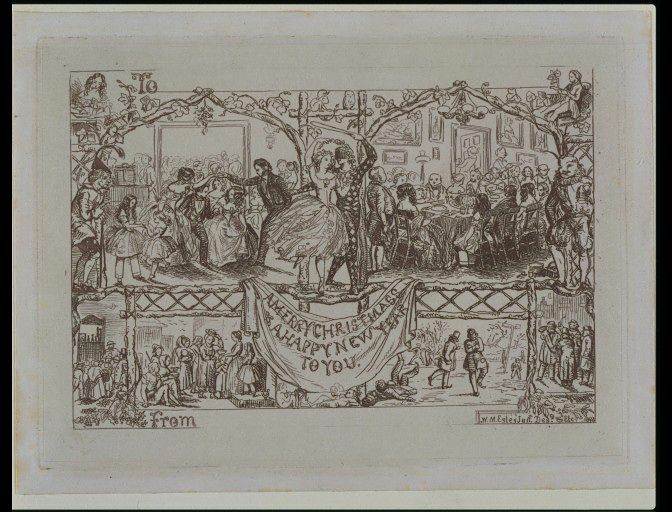 Etching by William Maw Egley (1826-1916) for 'The second Christmas card', 1848. Victoria and Albert Museum Charles Dickens: An exhibition to celebrate the centenary of his death London: HMSO, 1970. P.59. Catalogue of the exhibition held at the Victoria and Albert Museum, June-September 1970.